Today, you are a member of ... The Starring Role - You Are A Member! 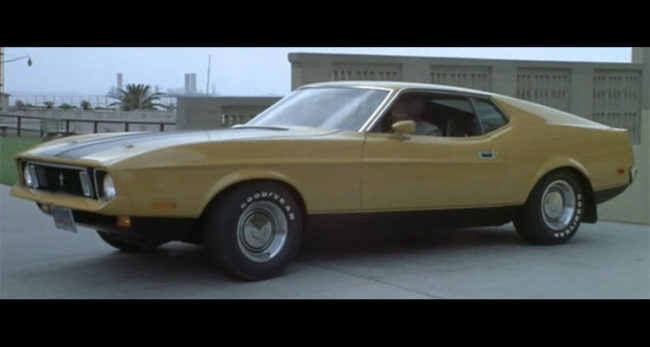 Did you know, Members, that HB Haliki’s customized 1971 Ford Mustang Sportsroof (presented as a 1973) called “Eleanor” is possibly the only inanimate object to receive a star title credit in a film. That film was “Gone in 60 Seconds,” the badass original by Haliki in his roles as writer, director, producer, distributor, and star. This week, Haliki would have been 77, if he didn’t make his exit in 1989 via an accident while rehearsing a stunt for the sequel. But maaaaan, while he was alive he sure knew how to drive. So this week, in his honor, perhaps find yourself an Eleanor and travel at starring speeds.